The third installment of the arduous 18 mile trek from Field Mill to the City Ground – aka the “FOOTBALL GROUND RUN” – returns 13th October, this time dedicated to respected friend Tony Lane who sadly passed away 3rd September ’18. Tony leaves behind a wife and two children so will be raising funds and awareness for his family, as well as a local Notts guy (under With Lee We Fight campaign) in desperate need of support. Lee is a premium producer, engineer and DJ of The Elementz Studios based in Nottingham. To his family, he is a loving Son, a committed Partner and a proud and dedicated Dad to his beautiful 9-year-old daughter, Ashleigh. In May 2018 Lee was admitted to hospital for 15 days following a bout of shortness of breath. His lung lining had filled with over 3 litres of fluid causing him to almost completely lose the function of his left lung. After 2 lung taps, multiple tests, x-rays and a biopsy of his lymph node, we finally got the dreaded diagnosis – stage 3s classical Hodgkin’s Lymphoma. With inflamed lymph nodes, an enlarged spleen and a mass in his chest, our fear was realised, it was “the Big C” – Cancer. Please help us to save Lee’s life by donating towards his integrative treatment in Germany. Funds will also help towards his cost of living in this time of ill health. This revolutionary treatment will cost over £140K, an unfathomable amount to most of us. Initial £20 up front to take part with all proceeds split between the plight of Lee and for family of Tony. Gaining sponsorship besides is encouraged, however aware folk taking part may already have other fundraising commitments. Will consider relay team or folk just doing section of the run. As well as people taking on the run require volunteers/supporters throughout the route to assist at designated points or cycling to offer with water/snacks/first aid. 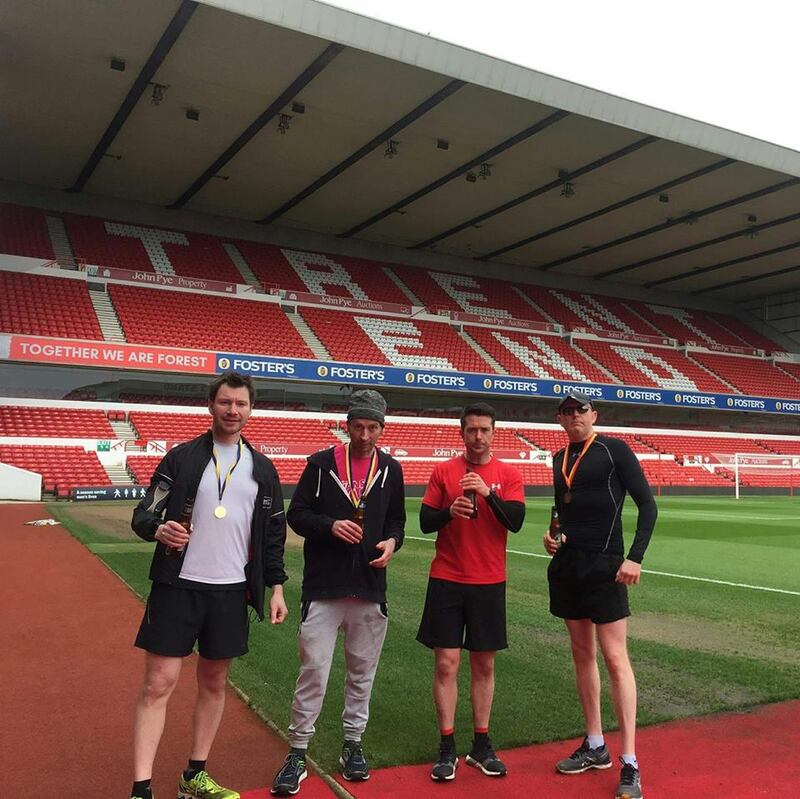 Medal and goody bag on completion of the run, hopefully inside Field Mill start and finish inside the City Ground. To be confirmed. Run and charities are wholly supported by I’m Not From London music promotions and One BC clothing, both showcase the diversity of Nottingham as well as supporting community and charity based projects across the county.